Thank you for your interest in our company and for taking the time to explore this website. 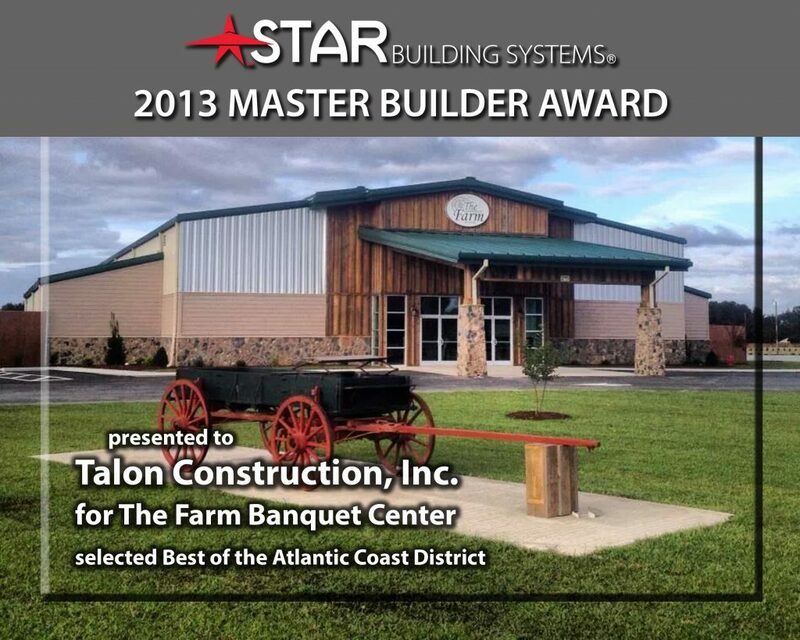 Talon Construction, Inc. is a full service construction company. 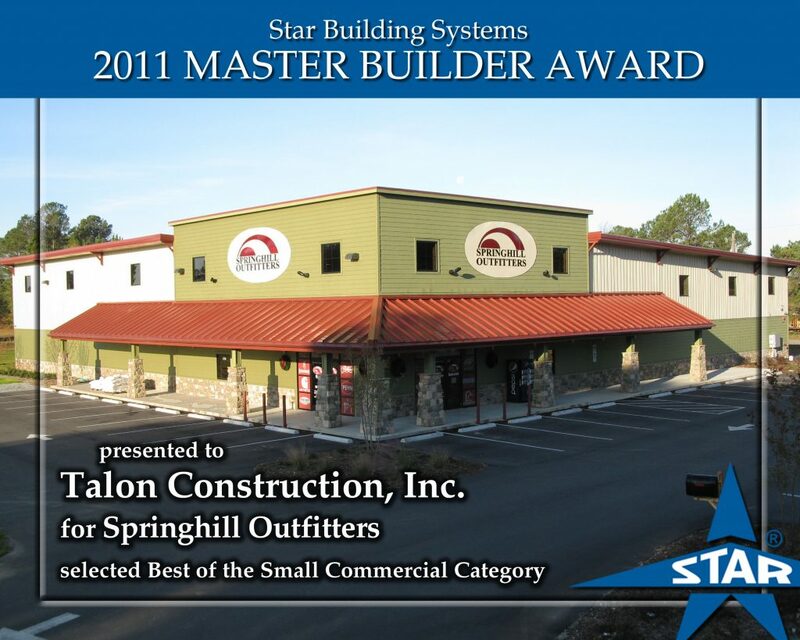 We specialize in Commercial, Industrial, and Design Build projects. Incorporated in 1997, we are licensed for General Contracting in the state of North Carolina. We have successfully completed a large number of commercial projects from new construction to renovations. We also offer a wide range of preconstruction services including Estimating, Value Engineering, and Critical Path Scheduling. Our Design/Build team works with engineers, designers, and architects. But most importantly, we work closely with the Owner and provide the personal service necessary to understand the function, appearance, and budget for your building project. The Project Manager you work with during the design process will be the same person that will be there at your job site during construction. So you can be confident that the job will get done right. We strive to provide exceptional quality and cost effective construction services with on-time delivery..
1998 & 2003 for achieving the highest sales volume in the Raleigh, NC district. Talon Construction is a mamber of ISNetworld with an A grade. ISNetworld is a global resource for connecting corporations with safe, reliable contractors in capitol-intensive industries. Our Commitment is to provide our clients with outstanding quality, fair prices, and very personalized services. Please feel free to contact us if you have any questions or need additional information. We will be happy to provide references at your request. We stand ready to assist you with any of your construction needs. Contact us for your Free Quote Today!